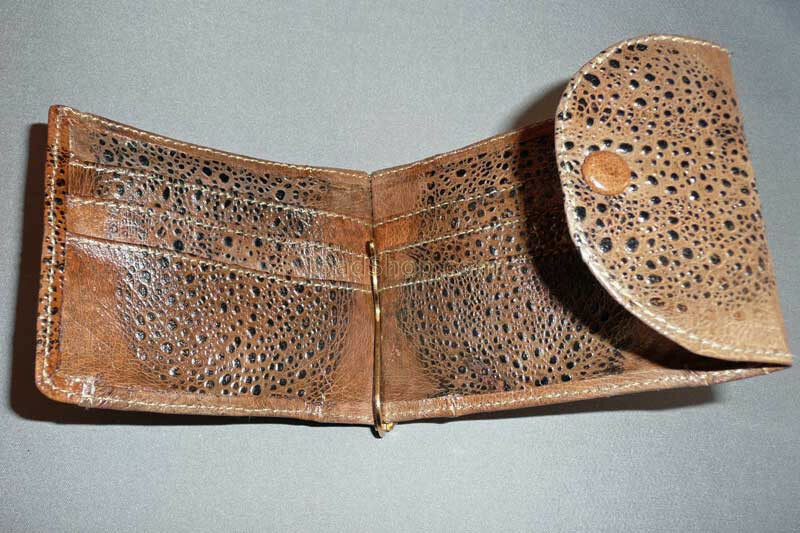 A combination money clip and card case made of 100% Australian Cane Toad leather. This well designed case has 7 inside slots for credit cards and business cards. There is also two slots on the outside of the case for the items you need quick access to like an ID card. The center clip that hold money has a hinge to easily unclip the bills. 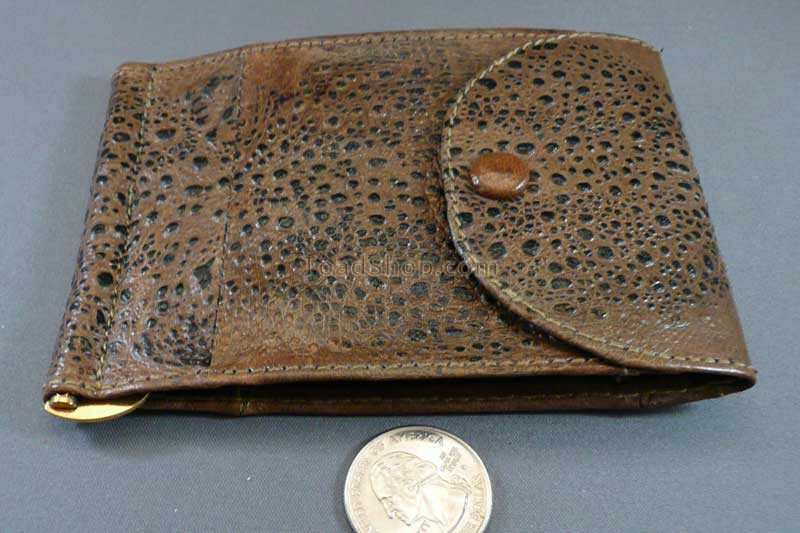 This case is very thin and made of 100% rugged beautiful Australian Cane Toad leather.